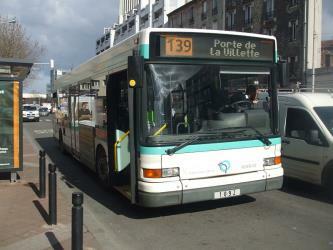 What is the cheapest way to get from Château-Thierry to Paris CDG Airport (CDG)? 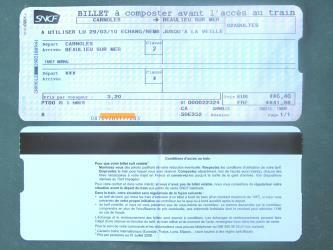 The cheapest way to get from Château-Thierry to Paris CDG Airport (CDG) is to drive which costs 10€ - 15€ and takes 1h. 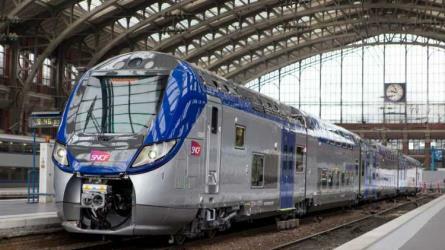 What is the fastest way to get from Château-Thierry to Paris CDG Airport (CDG)? The quickest way to get from Château-Thierry to Paris CDG Airport (CDG) is to drive which costs 10€ - 15€ and takes 1h. How far is it from Château-Thierry to Paris CDG Airport (CDG)? The distance between Château-Thierry and Paris CDG Airport (CDG) is 61 km. The road distance is 86.7 km. 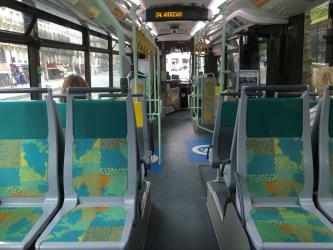 How do I travel from Château-Thierry to Paris CDG Airport (CDG) without a car? 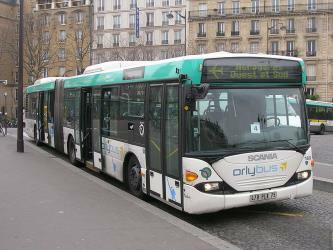 The best way to get from Château-Thierry to Paris CDG Airport (CDG) without a car is to train and bus which takes 1h 41m and costs 9€ - 23€. How long does it take to get from Château-Thierry to Paris CDG Airport (CDG)? It takes approximately 1h 41m to get from Château-Thierry to Paris CDG Airport (CDG), including transfers. Can I drive from Château-Thierry to Paris CDG Airport (CDG)? Yes, the driving distance between Château-Thierry to Paris CDG Airport (CDG) is 87 km. It takes approximately 1h to drive from Château-Thierry to Paris CDG Airport (CDG). Where can I stay near Paris CDG Airport (CDG)? There are 4213+ hotels available in Paris CDG Airport (CDG). Prices start at 75€ per night. What companies run services between Château-Thierry, France and Paris CDG Airport (CDG), France? There is no direct connection from Château-Thierry to Paris CDG Airport (CDG). However, you can take the train to Meaux, take the walk to Gare de Meaux, take the bus to Roissypôle, take the walk to Aeroport Cdg 1, then take the train to Aeroport Charles De Gaulle 2 Tgv. Alternatively, you can take a vehicle from Château-Thierry to Paris CDG Airport (CDG) via La Ferte Sous Jouarre, Gare SNCF, Gare RER - Quai de dépose, and Marne la Vallée-Chessy in around 2h 2m. 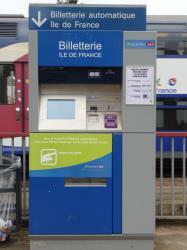 Loosely translated as the French National Railway Corporation, the SNCF is France’s state-owned railway company. 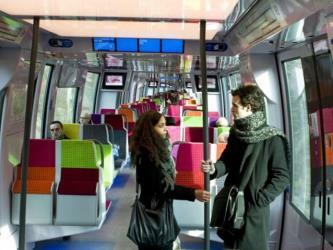 It covers the country’s extensive rail network, as well as the TGV and Thalys, France’s two high-speed railway networks. With over 14,000 trains operating daily, it is a fast and efficient way of travelling around the country. The railway network consists of about 32,000km in total, of which 1800km are high-speed lines and 14,500km are electrified. Go beyond Paris, the Alps, the Loire chateaux and the French Riviera. 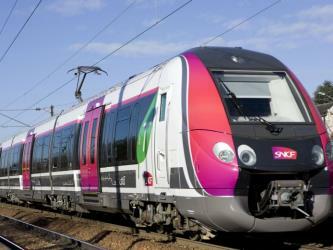 From the famed TGVs to no-frills Ouigo, we explain which SNCF train to choose and how to book. The City of Love tops many travel lists and there’s good reason for that. One of the world’s most fashionable cities, Paris is a hub for culture, exquisite food and wine, architecture and art. Take a trip up the world-renowned Eiffel Tower, visit the Mona Lisa at the famed Louvre museum, spend a day wandering around the Musée d’Orsay, and revel in the wonders of Notre Dame Cathedral. No trip is complete without a visit to the Arc de Triomphe, shopping along the Champs Elysées and a performance at the Moulin Rouge. The Louvre or the Louvre Museum is the world's largest art museum and an historic monument in Paris, France. A central landmark of the city, it is located on the Right Bank of the Seine in the city's 1st arrondissement (district or ward). Approximately 38,000 objects from prehistory to the 21st century are exhibited over an area of 72,735 square metres (782,910 square feet). The Louvre in 2016 was the world's most visited art museum, receiving 7.3 million visitors. Montmartre is a large hill in Paris's 18th arrondissement. It is 130 m high and gives its name to the surrounding district, part of the Right Bank in the northern section of the city. The historic district established by the City of Paris in 1995 is bordered by rue Caulaincourt and rue Custine on the north, rue de Clignancourt on the east, and boulevard de Clichy and boulevard de Rochechouart to the south, containing 60 ha. Montmartre is primarily known for its artistic history, the white-domed Basilica of the Sacré-Cœur on its summit, and as a nightclub district. The other, older, church on the hill is Saint Pierre de Montmartre, which claims to be the location at which the Jesuit order of priests was founded. Disneyland Paris, originally Euro Disney Resort, is an entertainment resort in Marne-la-Vallée, a new town located 32 km east of the centre of Paris, and is the most visited theme park in all of Europe. It is owned and operated by The Walt Disney Company and is the only resort outside the United States to be. The resort covers 4800 acre and encompasses two theme parks, many resort hotels, a shopping, dining, and entertainment complex, and a golf course, in addition to several additional recreational and entertainment venues. Disneyland Park is the original theme park of the complex, opening with the resort on 12 April 1992. A second theme park, Walt Disney Studios Park, opened in 2002. The resort is the second Disney park to open outside the United States following the opening of the Tokyo Disney Resort in 1983. The Stade de France is the national stadium of France, located just north of Paris in the commune of Saint-Denis. Its seating capacity of 81,338 makes it the sixth-largest stadium in Europe. The stadium is used by the France national football team and French rugby union team for international competition. Originally built for the 1998 FIFA World Cup, the stadium's name was recommended by Michel Platini, head of the organising committee. On 12 July 1998, France defeated Brazil 3–0 in the 1998 FIFA World Cup Final contested at the stadium. It will host the opening and closing ceremonies and the athletics events at the 2024 Summer Olympics. Rome2rio makes travelling from Château-Thierry to Paris CDG Airport (CDG) easy. Rome2rio is a door-to-door travel information and booking engine, helping you get to and from any location in the world. Find all the transport options for your trip from Château-Thierry to Paris CDG Airport (CDG) right here. Rome2rio displays up to date schedules, route maps, journey times and estimated fares from relevant transport operators, ensuring you can make an informed decision about which option will suit you best. Rome2rio also offers online bookings for selected operators, making reservations easy and straightforward. Need an airport transfer to Paris CDG Airport?